Recently we were tapped to work on a highly controversial project… to rebrand America’s most demonized breed of canine, the Pit Bull. All of us here at Eat My Words are dyed-in-the-sheep wool animal lovers with many dogs, cats, goats, chickens, Chia pets, Pet Rocks, and one very angry goose sharing their lives with us. (Not in a one-bedroom apartment, thank goodness.) Therefore, we are predisposed to love our furry and feathered friends. Petey (a Pit Bull) ran with The Little Rascals and they all lived to adulthood. Jessica Biel and Jessica Alba both own Pit Bulls, and they are hot so whatever they like we like. Cesar Millan says they are OK and he is the Dog Whisperer. We don’t know what the hell whispering to a dog does, but Cesar has his own show and nice teeth. Contrary to popular belief, Pit Bulls do not have a “locking jaw” mechanism. The same cannot be said for Rumer Willis. The Pit Bull Registry claims you are more four times more likely to be killed by a cow than a Pit Bull. Two questions. 1) who keeps track of bovine related deaths 2) how embarrassing would it be to be killed by a cow? How about a “roaring cow“? All kidding aside, we have learned a lot of positive things about Pit Bulls and have changed our views. 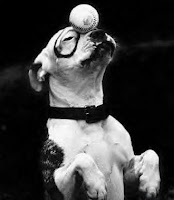 Pit Bulls have only gotten a bad rap because of their association with dog fighting and popularity with MTV gangstas. The good news is that the gangsta thugs we have spotted lately in the hood are all sporting itty bitty Chihuahuas ala Paris Hilton. 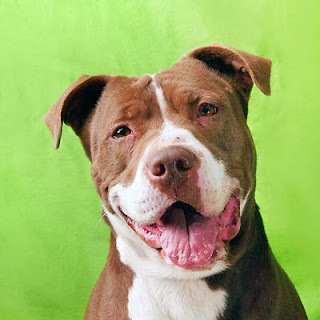 *Pit Bull is not a breed but a description of several dogs with similar characteristics including the American Pit Bull Terrier, American Staffordshire Terrier, Staffordshire Bull Terrier and Sarah Palin.